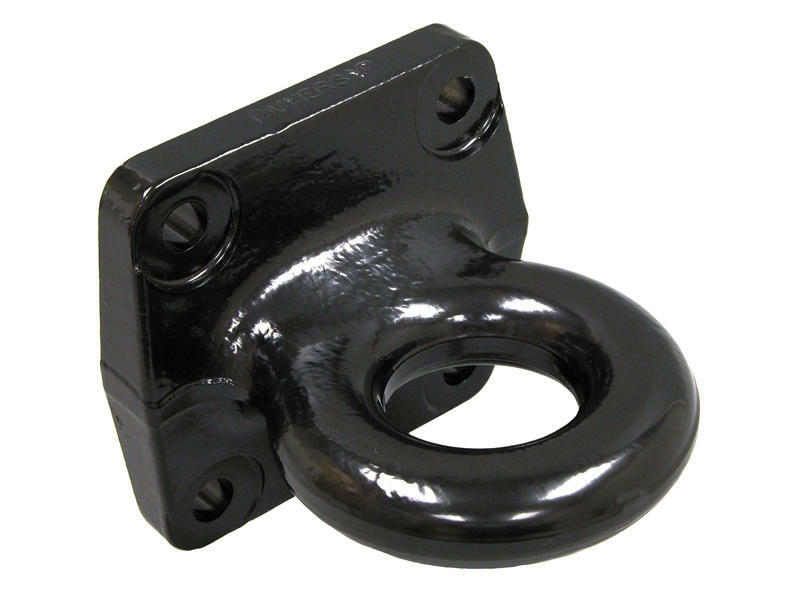 One-Piece Forged Design 4-Bolt Tow Ring has 3 inch I.D. and 4-1/2 x 4-1/2 inch hole pattern. Rated 60,000 lbs. gross trailer weight, 15,000 lbs. tongue weight. This item requires a MK-134 bolt pack for installation.